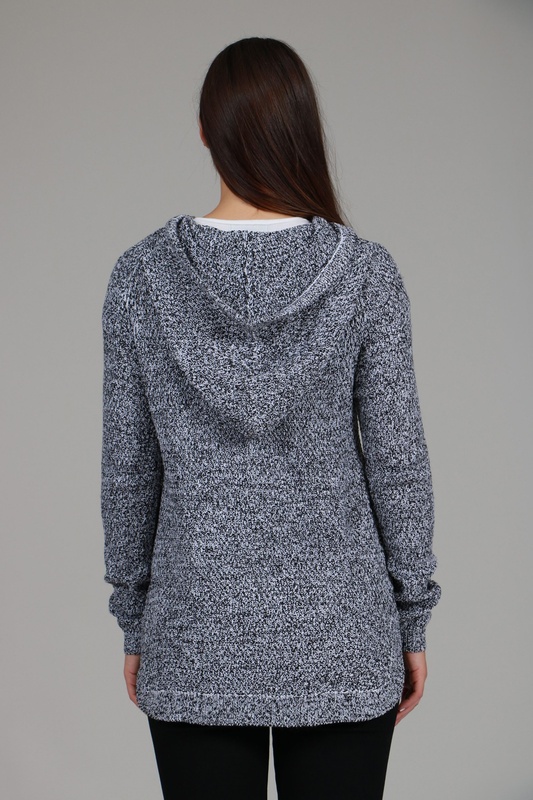 This hi lo hem knitted hoodie is a must for your winter wardrobe. Features a hood, long ribbed sleeves, waist pockets and a hi lo ribbed hemline. Team with skinny jeans, leggings and sneakers for a sporty weekend look.